The sense of smell is a powerful trigger for a range of emotions and sensations. There is one smell in particular that has uniquely intoxicating effect – the smell of money. 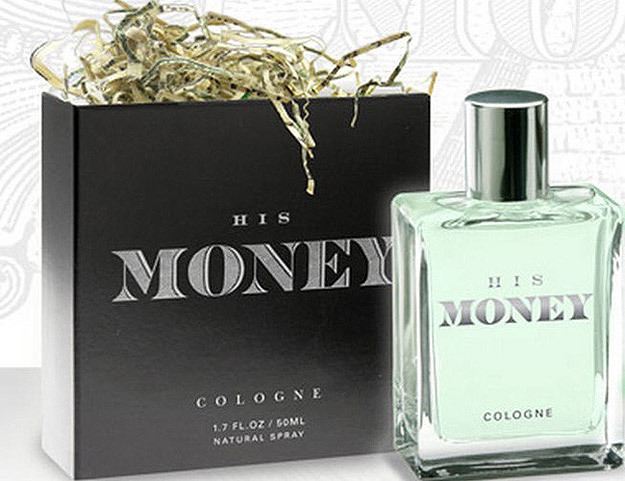 Liquid Money is the the scent of money in a bottle, so now you can proudly wear the sweet smell of success. This bold fragrance is available in two scents, His Money and Her Money. You’ll smell like a million bucks! Did the Sharks bite into this product? The creator of Liquid Money went into the Shark Tank asking for $100k for a 5% share of the company. While the sharks all LOVE money, only Daymond offered to come in, but for an astonishing 80% equity, a proposal which was not surprisingly turned down.